Remember those days when you slept through the night? Probably not. 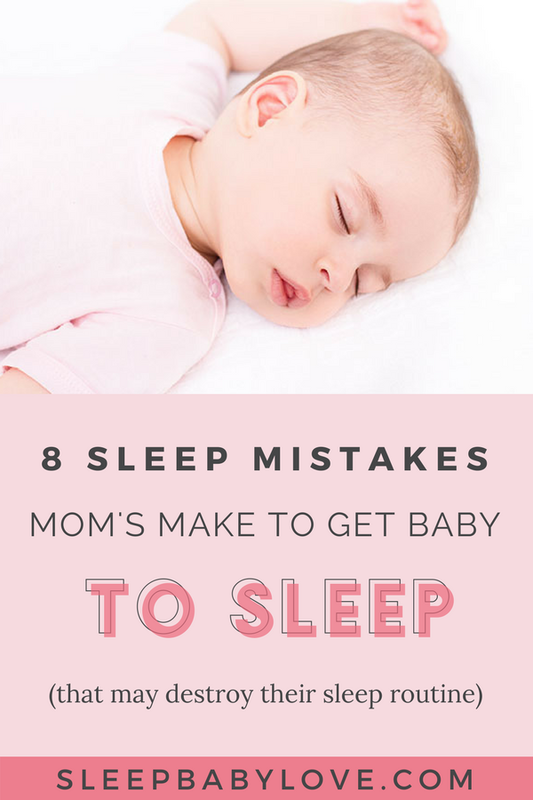 Don’t worry; you’re most definitely not alone—most new moms and dads struggle to catch a healthy amount of Zzzs each night during the first year of their child’s life. But when your newborn is also struggling to get the proper amount of shut-eye? 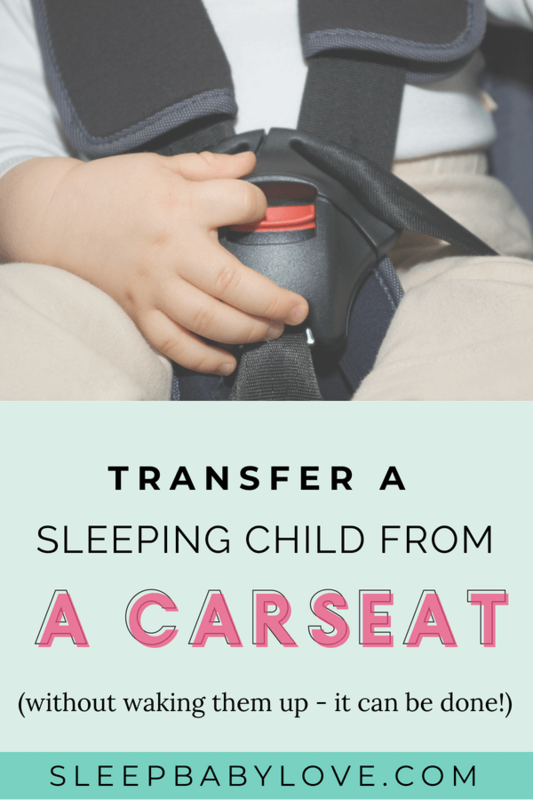 That can be a recipe for baby sleep debt. 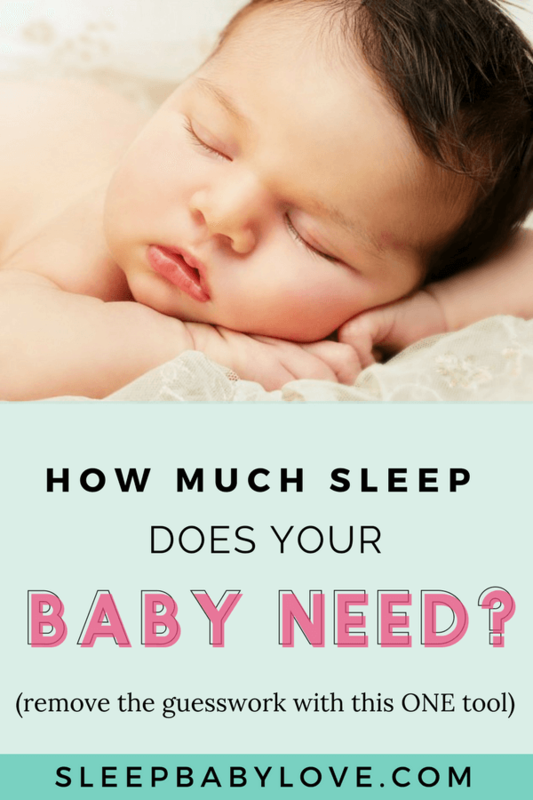 What is baby sleep debt? Baby sleep debt is when a baby goes an extended period of time without getting the recommended amount of quality sleep they need. 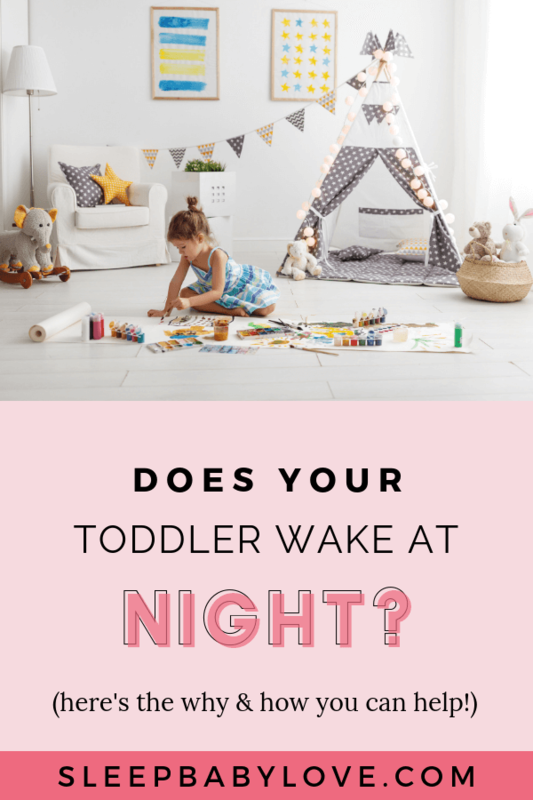 It isn’t just about having an agitated, overtired baby—it’s that your baby (because they are so overtired) struggles more than usual to get quality sleep, further worsening the sleep debt. 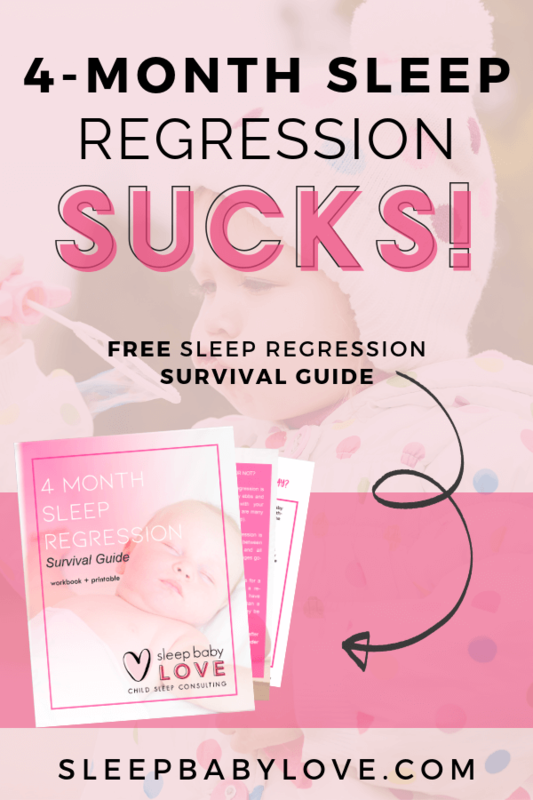 An easy equation is the sleep debt builds as the amount of sleep a baby should get gets greater from the amount of sleep that a baby is actually getting. 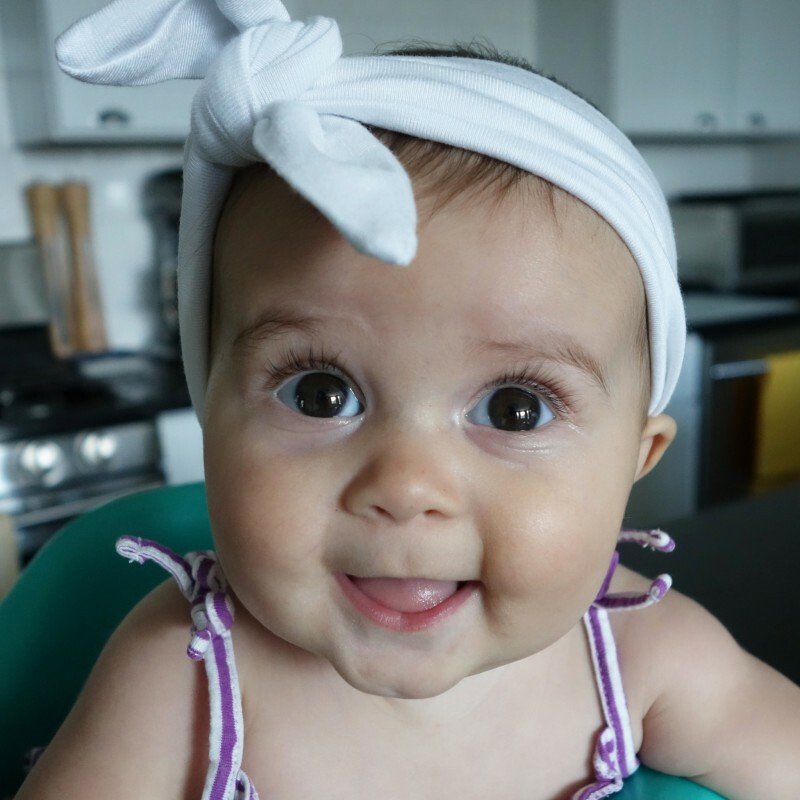 Not only is this frustrating for you as a new mom—and your entire household, which is probably pretty darn sleepless at this point—but it’s also not great for your baby’s health. In fact, sleep debt could lead to mental and physical fatigue, with symptoms ranging from negative emotions to an impaired immune system. Sure, if you’re an adult who goes without sleep for several nights, an afternoon nap might be all you need to feel rejuvenated and back on track. However, it’s not that easy for newborns to fall asleep and feel better. In fact, in two studies done on babies between 8 and 12 weeks old, it was discovered that sleep-deprived babies struggle to function at their best. The study specifically demonstrated how louder blasts of white noise were required to wake up overtired babies, compared to their well-rested counterparts. 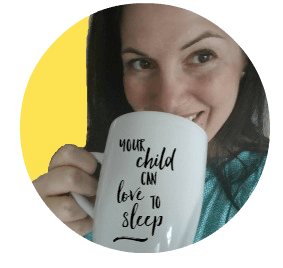 How do you fix baby sleep debt? 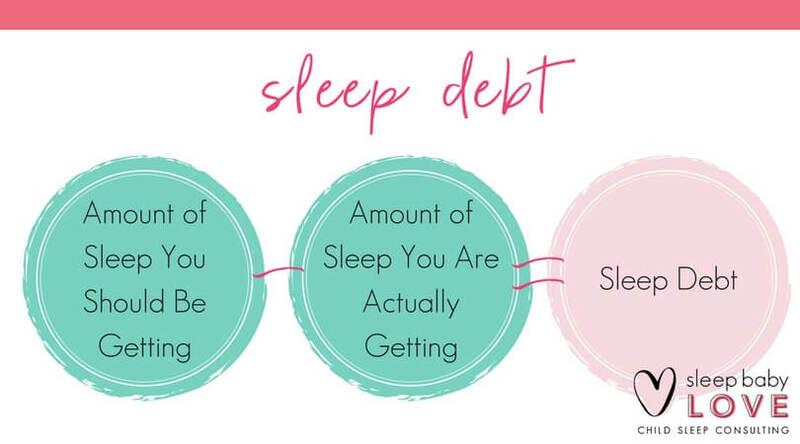 Unfortunately, getting out of sleep debt cannot be done overnight. It’s a slow process that requires tiny baby steps. But trust me, all hope is not lost. You can do this. Think of getting out of sleep debt like losing weight. It’s impossible to drop 20 pounds in your sleep (gosh, I wish)! But when you put the right processes in place—adding more produce to your grocery cart, meal prepping your food, daily exercise—and give it some time, little by little the weight starts to melt off till you’re a happier, healthier you. Your baby is the same way. 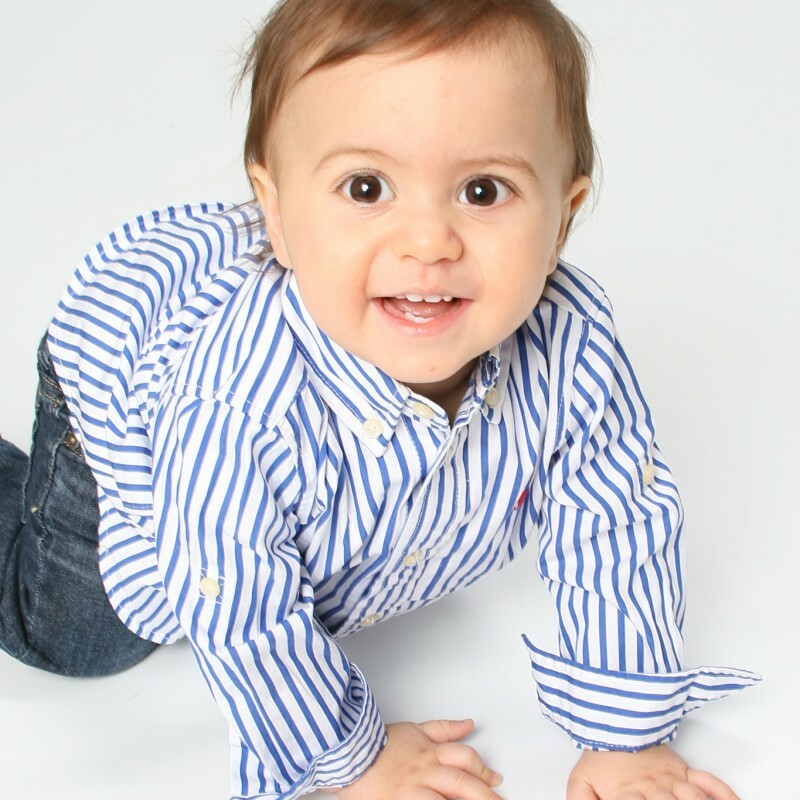 Once you put the right actions into motion and give it some time, your baby will slowly be able to get more and more sleep. And the more sleep your baby gets, the happier and healthier they will feel. Identify how much sleep your baby should be getting in a day, based on their age. Of course, these are just averages, but it’s a good starting point. 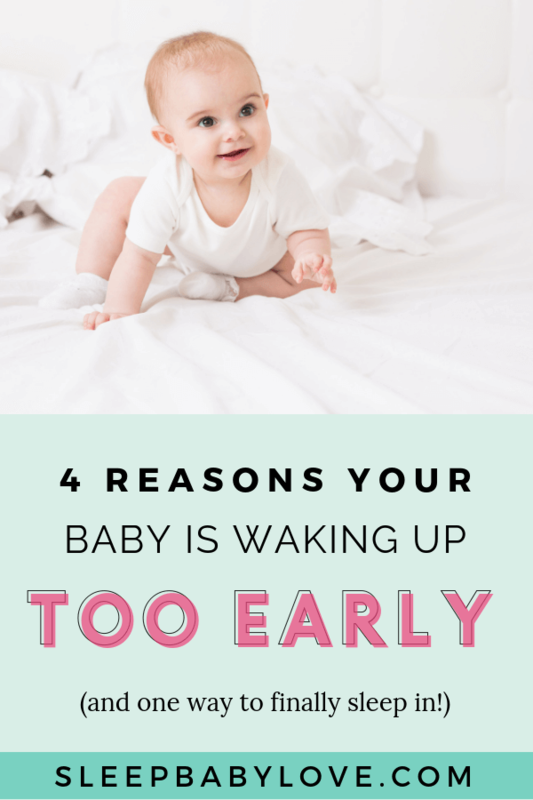 If you have an idea of how many hours of sleep your baby is currently getting and how many they need, you’ll feel more in control and know how to better bridge the sleep gap. 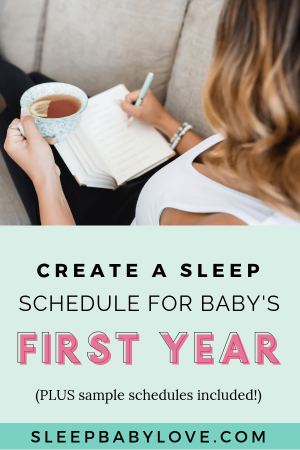 The simple way to do this is to track your baby’s sleep patterns for at least three days. Prioritize nighttime sleep. While naps are still an essential part of getting out of sleep debt, nighttime sleep is the most restorative type of sleep. So, if you want to help get your baby back on track slightly faster, get them a few more moments of starry night slumber. Be consistent. Consistency with your baby’s sleep routine will help you both get into a healthy rhythm. And, like any good routine, eventually, it will become a habit. Give yourself a break. 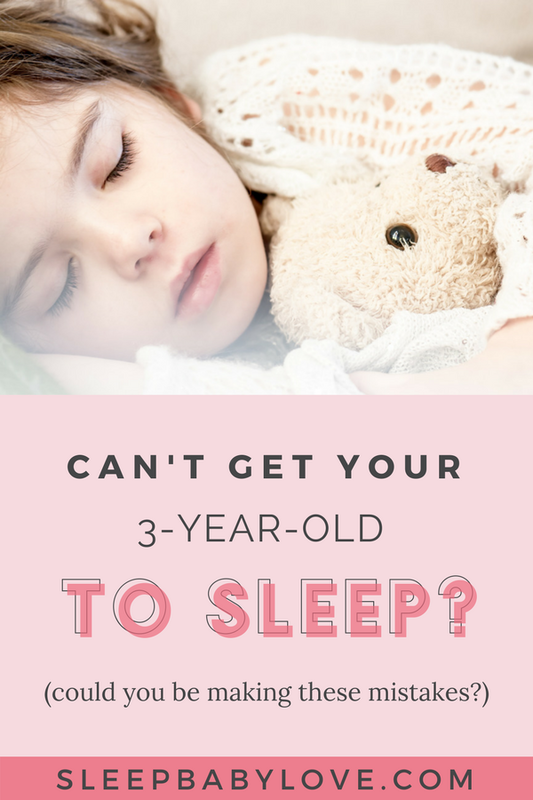 It can be challenging trying to deal with an overtired child who’s trying to get out of sleep debt. Trust me; your baby doesn’t hate you—though it’s understandable why some days it may feel that way. 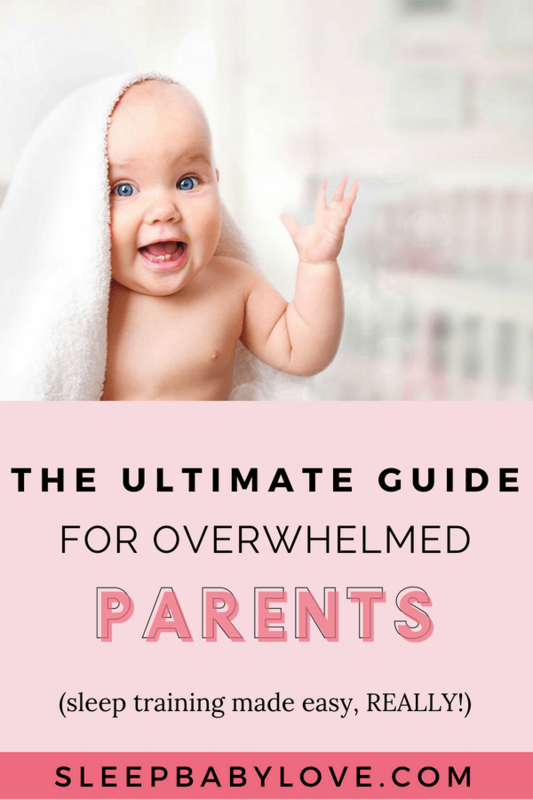 Your baby loves you and is just struggling because, much like you, it’s frustrated. But you’re doing great and, like anything worth having, it’s going to take some time. 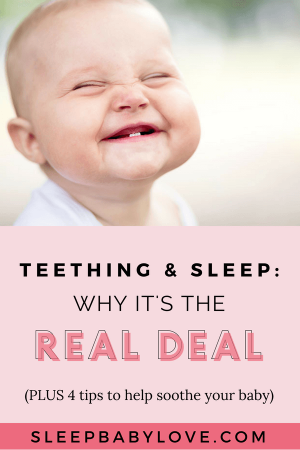 Once your baby is out of sleep debt, you probably never want to go back. Of course, sometimes these things aren’t entirely in your control. 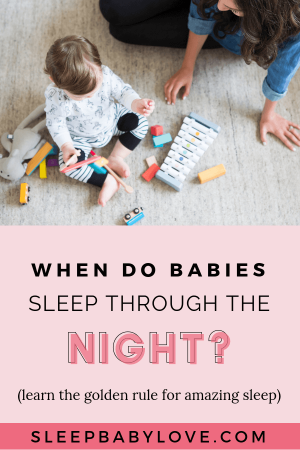 However, there are a few preventative measures you can take to try and keep your baby from falling back into a sleep debt. 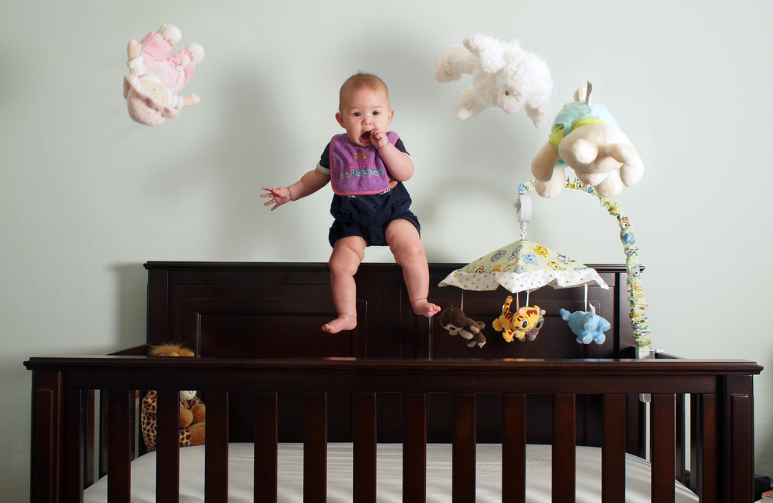 How do you prevent baby sleep debt? Of course, not all of these symptoms should be cause for concern, but if you’re seeing them consistently or all at once, something’s probably not right. Incorporate a consistent, quality-filled pre-bedtime or nap routine. 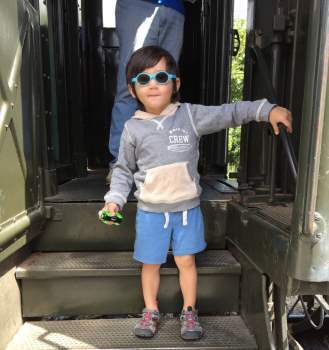 Think of the 3s – short, sweet and see ya! 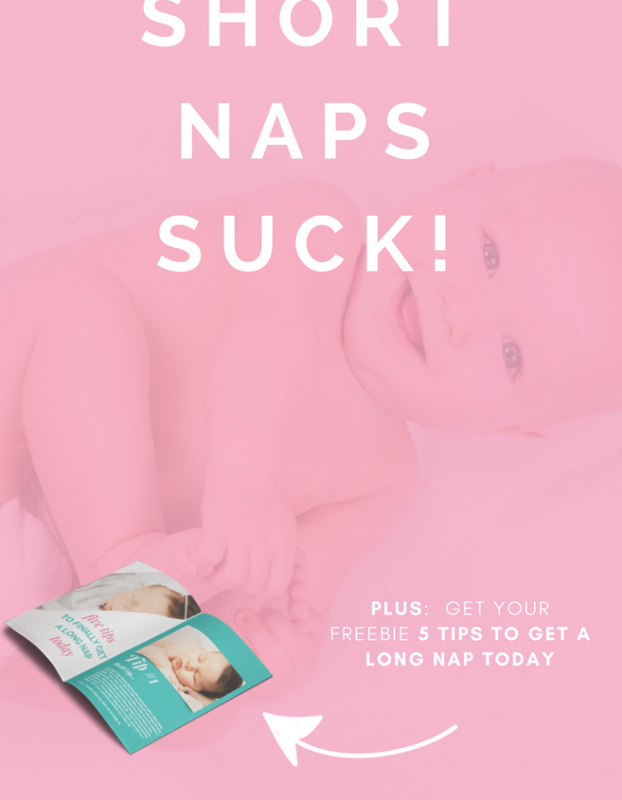 Get your baby’s environment ready for sleeping! 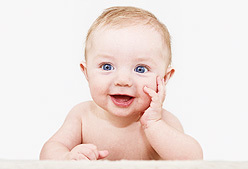 This means paying attention to your baby’s senses: temperature (the ideal temp is between 69 – 72F), lighting and sound. Speaking of senses, be sure to use lots of sensory soothing, including swaddling, rocking and holding her. 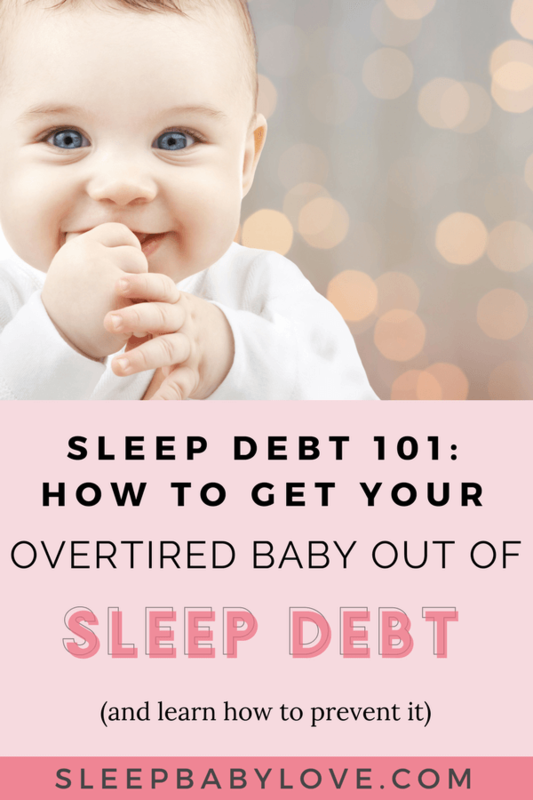 Baby sleep debt is understandably a difficult time for both a parent and child. 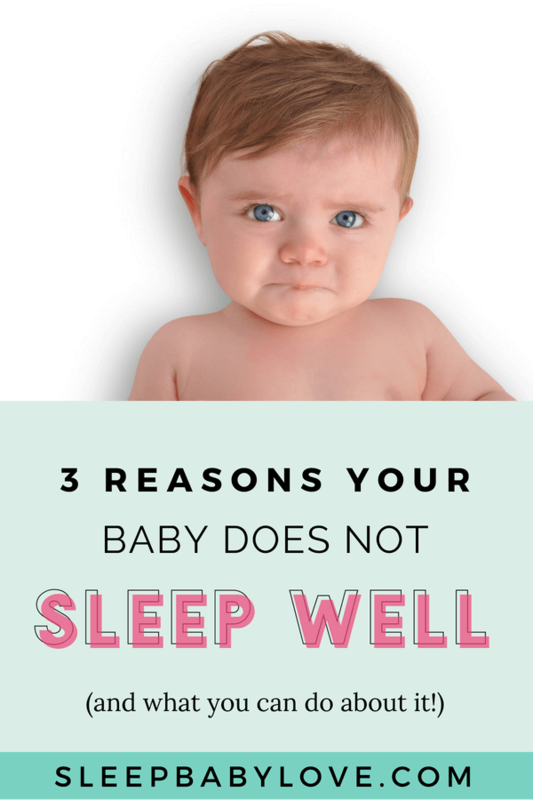 If you do end up dealing with a baby in sleep debt, know that you are not alone. 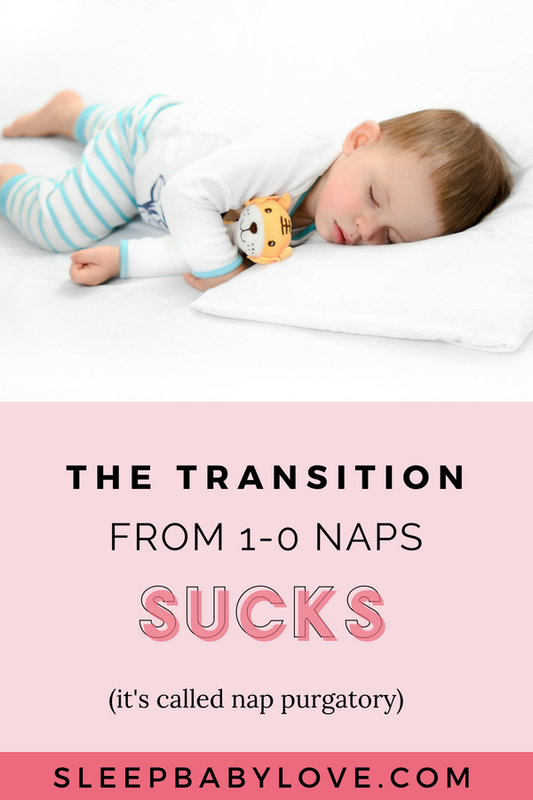 Just remember it takes time, patience and a few simple steps to dig out of sleep debt and get you and your baby back to a happy, peaceful slumber. What is the best way that you’ve been able to calm your baby? Share your best tips in the comments below! I have an 8 week old and am stuck in a vicious cycle of an overtired baby! She will only sleep being held and while I’m trying to break that habit and get her to sleep in her own bed, I have a limited window to get her down before she’s overtired. Then it’s 2 hours and crying and fighting sleep. I end up nursing her to sleep then I usually only get her down for half an hour before we have to do it all over again. I know she’s overtired and I want her to be well rested but I can’t get out of this cycle! Is it possible to train her to sleep in her own bed and get out of sleep debt at the same time or will I need to hold her to sleep to “catch her up”? Please help!